GEO's 20th Annual Conference was specifically designed with a focus on the hottest issues in global share plans and executive compensation and boasted a world-class keynote line-up and more than 50 unique breakout sessions delivered by international experts. The 2019 event featured a tailored agenda that addressed specific concerns and issues directly affecting GEO’s members, focusing in the areas of long–term incentives, share plan design, accounting, tax, legal, regulatory compliance, plan communications and administration. Attendees hail from all corners of the globe. In 2018, delegates represented 21 countries. The overall country mix of attendees varies depending on event location. 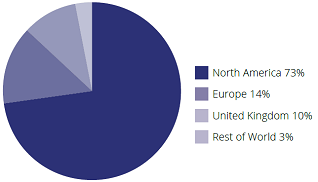 On average when the event is hosted in Europe approximately 65-70% of the attendees come from Europe, the United Kingdom and Asia, and 30-35% are from North America. The conference attracts professionals from a variety of roles from a wide range of industry types and sizes. On average 69% of attendees are senior level professionals (Senior Manager or above), including CEOs, CFOs, Directors, Partners, Consultants or Heads of Departments. Over 450 delegates are expected to attend the 20th Annual Conference in Amsterdam, representing functions such as human resources, accounting, finance and stock plan administration, and advisor or service providers. 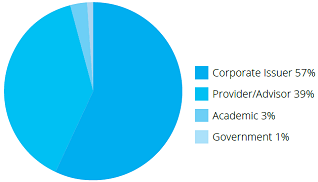 On average 57% of attendee companies were issuers and 39% were advisor or service provider companies. "As a provider of share plan services, GEO events present my company with many sought after opportunities with potential clients, as well as partnerships with other service providers." "This industry is always evolving and I find that not only is GEO on top of the new trends, but they are able to attract household named companies to share best practices." "The GEO Annual Conference is global in scope and brings together leading minds in equity plan administration from all over the world." "GEO's international scope spans further than other similar organizations and allows me to link directly into individual markets. I look forward to meeting equity peers from other large companies in order to share challenges and learn from their accomplishments at GEO’s Annual Conference."